There are good reasons why Indians prefer South Asian over Western art. And it goes beyond the price. As the art market becomes increasingly global, it is perhaps a natural progression that we should see a broadening of tastes. In the world of auctions, prices for works are dependent on what a collector is willing to pay for them and how far they are driven to bid when competing against other bidders, with new world records broken as a result and benchmark prices established. Previously focused primarily on art from their region and reflecting their heritage, South Asian millionaires and billionaires have been spotted bidding on and purchasing works by 'blue-chip' international artists, including Claude Monet, Pablo Picasso, Pierre-Auguste Renoir and Salvador Dal? in Sotheby's sales of Impressionist & Modern art; Andy Warhol, Mark Rothko and Yayoi Kusama in Contemporary auctions; and Peter Paul Rubens, Canaletto or Jan Brueghel in Old Master Paintings sales. Indicative of this are the places held by both US- and UK-based Indian collectors on international museum boards, which reflect their personal taste for international art. Artistic boundaries and categories are no longer limitations when it comes to collectors building and curating their collections. Rather than strictly adhering to one particular collecting category, they are participating in the wider art market and gaining a greater understanding of a broader variety of the international art on offer. With exposure comes more interest. There is one notable hurdle for India-based collectors in acquiring art over 100 years old and that is the Antiquities Act (1972). Once a work of art is considered to be an antiquity and is imported into India, it can never be exported. The taste for Impressionist art is ever-present in India, but if one were to import a work by Vincent Van Gogh dated 1916, the owner would be limited to selling within India only, should they decide to sell the work in future. This reality of Indian legislation could play a large part in why we are more likely to see a Chinese billionaire pay $170 million for a Modigliani than a person of Indian origin (POI). Despite this broadening of taste, the art reflecting one's heritage holds an enduring place in the hearts of collectors, in large part due to its cultural resonances. For example, traditional Indian art - and by that I mean antiquities - can be incredibly nuanced and complex, with their connotations less accessible at first glance. For example, a court painting depicting two lovers may seem very decorative and enchanting to anyone glancing at the picture, but when you peel back the layers and take the time to explore what is really in front of you, there is more than what meets the eye. 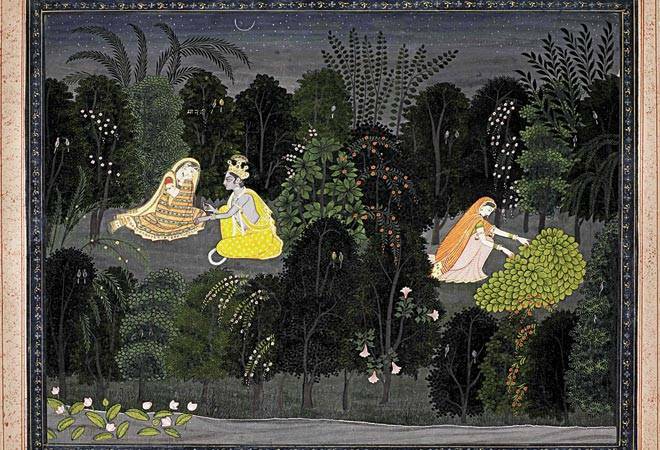 A common subject in miniature painting is the Hindu deity Krishna, who is often depicted with his lover Radha. Krishna's skin has a distinctive blue hue. Unless someone is familiar with this mythology, they might just see two figures who are enamoured with each other and not know that they are looking at one of the most revered and popular subjects. While a beautiful painting of a pair of lovers might be worth $1,000 to anyone who appreciates its aesthetics, a sacred depiction of Radha and Krishna, particularly in a famous scene from folklore, might be worth $10,000 to someone who understands more about what the miniature might mean. To really delve into the mysteries and intricacies of such artworks is exciting and personal, so pre-existing knowledge and familiarity with such subjects is what fuels the prices and demand for this type of art. This explains why the majority of buyers at auctions for such works are predominantly South Asian or of South Asian origin. The same argument can be used to explain why Indian art collectors seemingly do not buy enough traditional European or North American art. An old master painting representing Susanna and the Elders would not carry the same appeal to someone who is not familiar with the historical Old Testament subject and would not be worth quite as much to them unless it was by a very famous artist. Then, the purchase of the work may be more closely related to the prominent stature of the artist rather than the actual composition. If we look at collectors' taste for Modern art, it is worth looking back at 1947 when India and Pakistan both gained Independence from Britain and a quiet rebellion against traditional and academic styles of painting began. South Asian artists wanted to embrace the 'avant-garde' and be truly ahead of the times. Six young men, Francis Newton Souza, Sayed Haider Raza, Maqbool Fida Husain, Krishnaji Howlaji Ara, Hari Ambadas Gade and Sadanand K. Bakre banded together and formed the Bombay Progressive Artists' Group. These men as well as the other members that later joined or interacted with the group became the bastions of the South Asian Modern art movement and command some of the highest prices at South Asian Modern and Contemporary art auctions today. They ushered in new and revolutionary styles of painting with a direct link to European and American Modernism. Interestingly, upon first glance, a lot of their artwork can easily be mistaken for that of an American or European painter. 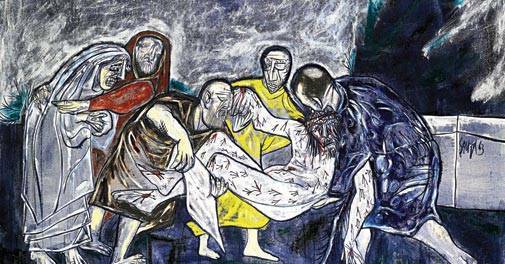 Francis Newton Souza's painting The Deposition: Burial of Christ, 1963 is a strong example of this. Compositionally based on Titian's Entombment of Christ c. 1520, currently at the Louvre, and painted in a more cubist style, it is not apparent that the artist was born and brought up in India. By allowing this subject to be truly reborn in his own expressionistic vernacular, critics have compared Souza with the likes of Graham Sutherland and Francis Bacon. While the most expensive Bacon ever sold went for $142.4 million, the most expensive Souza has commanded a little over $4 million at auction. I am not trying to imply that an Indian would only buy a Souza because it is more affordable, but when an important and talented artist from your country of origin is creating something with a universal appeal, achieving fame on an international level and revelling in carefully curated exhibitions at major institutions, it is not surprising that such works would take pride of place in any prominent South Asian collector's home. 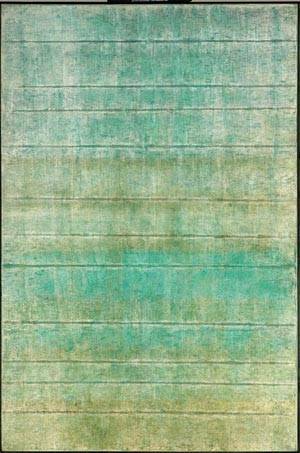 Another apt example is the Untitled painting by Vasudeo S. Gaitonde, regarded as one of India's most important modern abstract painters. Successful exhibitions at Gallery 63 in New York and Gallery One in London resulted in Gaitonde receiving a prestigious Rockefeller Fellowship in 1964 for a year-long stay in New York, including a stipend to travel to Bangkok, Tokyo and Hong Kong. He was greatly influenced and informed by the colour field techniques of painters such as Mark Rothko and Hans Hofmann. Although Gaitonde was one of the first Indian painters to be given an international solo retrospective, and his work has a truly global attraction, again, Gaitondes at auctions are purchased primarily by South Asians. This phenomenon is not limited to South Asia but also among other regional fields of art. It is well known that buyers of Russian art are of predominantly Russian origin and so on and so forth. But while specialised works of art and antiquities will always appeal to those who know and understand the context surrounding them best, as the globalisation of the art market continues apace - and with the increased international acclaim that comes with blockbuster retrospectives at international museums - the appreciation of regional artists continues to grow at a heartening rate. 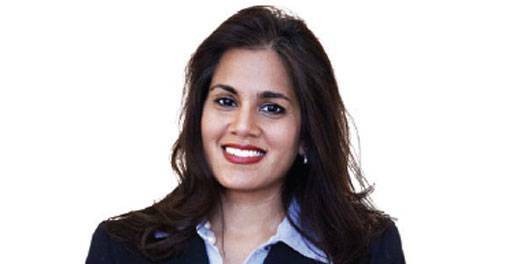 The writer is Senior Director, International Head of Modern and Contemporary South Asian Art, Sotheby's International.